Australians love a good ute, and now more than ever. 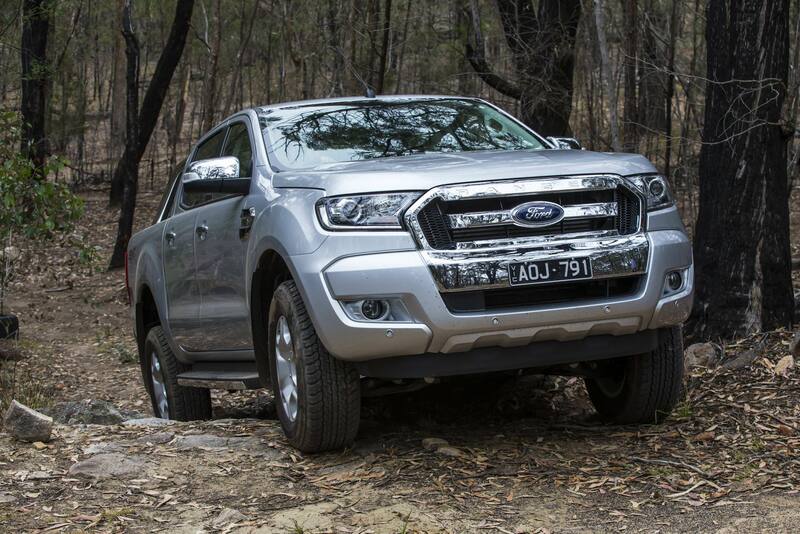 It’s a concept that was born here, and vehicles like the Toyota HiLux and our reigning Best Ute category champion, the Ford Ranger XLT, are among the most popular new cars in the country at the moment. With consumers demanding more from a car than ever before, it’s easy to see why the latest generation of dual-cab pick ups are going gang busters on the sales charts as they are no longer one-dimensional workhorses. They can carry a load, cart the kids to school, head off the beaten track and tow a heavy trailer while offering more car-like driving characteristics and, in some cases, feature the latest in advanced safety and connectivity functions. While it’s been a big year for sales of dual-cab pick ups, there hasn’t been as many new arrivals in 2017 as the year before when most of the major players saw either all-new or heavily revised models. This year, the Ranger XLT faces off against the most-powerful contender in the class, the Volkswagen Amarok V6 in the recently-revealed Sportline trim. It’s done it again. For the fourth year in a row, the Ford Ranger XLT is our best pick of the dual-cab utes. It continued to impress our judges on the strength of its breadth of abilities, both as a rough-and-tumble workhorse and an everyday alternative to modern SUVs for small families. Out in the scrub, the fact it has a four-wheel drive transmission with a traditional low-range transfer case – plus the ability to switch from two- to four-wheel drive on the fly using a simple rotary knob in the centre console – ensures it can go further off the beaten track than most will ever push it. It does it easy too, thanks to the strong pulling power offered by its 3.2-litre five-cylinder turbo diesel engine and the well-calibrated six-speed automatic gearbox. Sure, it doesn’t produce as much outright grunt as the Volkswagen and, ultimately, it’s not as refined when you dig into the throttle, but it is hardly a slouch with plenty of pick-up at low revs away from the lights and, at the opposite end of the driving spectrum, a relaxed cruising manner on the highway. Its truckiness still rears its head in some key areas; the steering isn’t as sharp as the Amarok; The suspension bounces over bumps more prominently, particularly without a load in the tray; And its basic electronic safety systems – the anti-skid brakes and stability control – are more aggressive in arresting its mass through our simulated emergency situations. But, in most regards, the Ranger feels more car-like than it should. The cabin is well presented and equipped with all the latest toys, including Ford’s comprehensive Sync3 infotainment system with sat nav, Bluetooth and smartphone mirroring, while the seats are comfortable and there’s decent space across the back row. One niggle the judges continue to mention is the lack of reach adjustment in the steering. Beyond that minor gripe, the Ranger sets the benchmark for safety in the dual-cab class as it is the only vehicle of its type currently offered with active driving aids such as adaptive cruise control, lane keeping assistance and forward collision warning – albeit in an optional Technology Pack that costs just $800. It also has full airbag coverage for all occupants. It also goes further on the worksite too, with clever touches like a 230V powerpoint socket in the back of the centre console to recharge power tools or laptops and six tie-down points in the tray that features a full bed liner. And it’s cheaper to maintain too, with the first three years of servicing costing $1400.